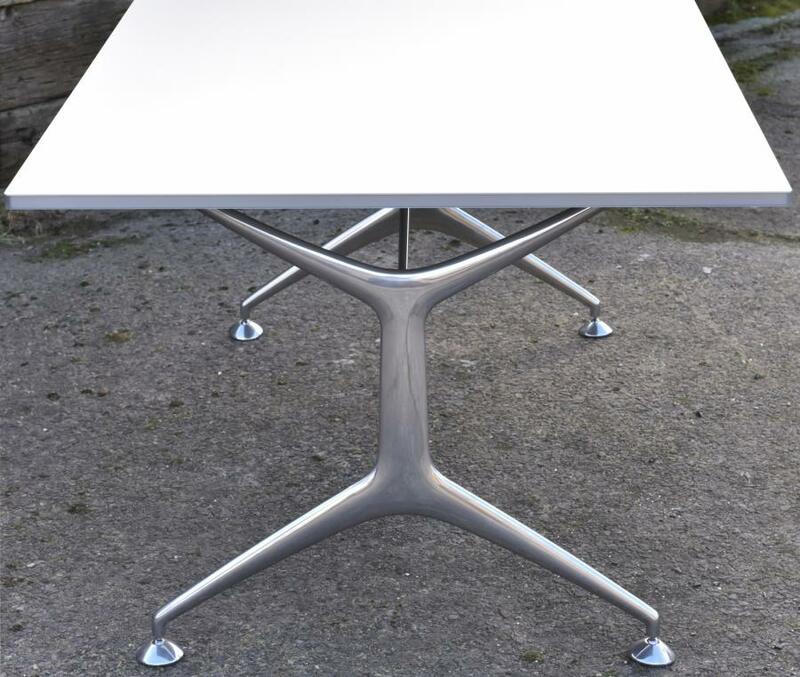 A Frame Folding Table designed by Alberto Meda in 2001. 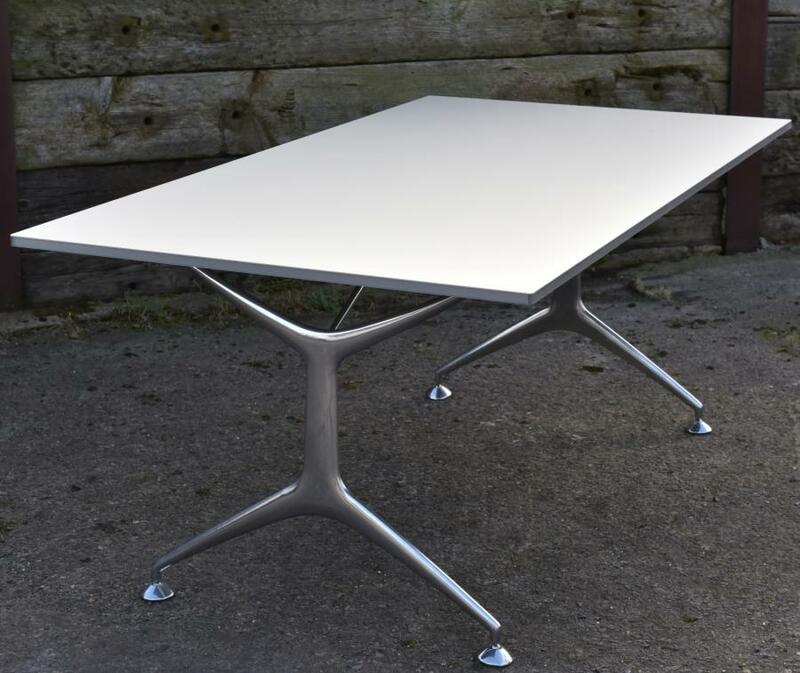 The top is very stable, made of aluminium with a honeycomb center and polcarbonate edging. 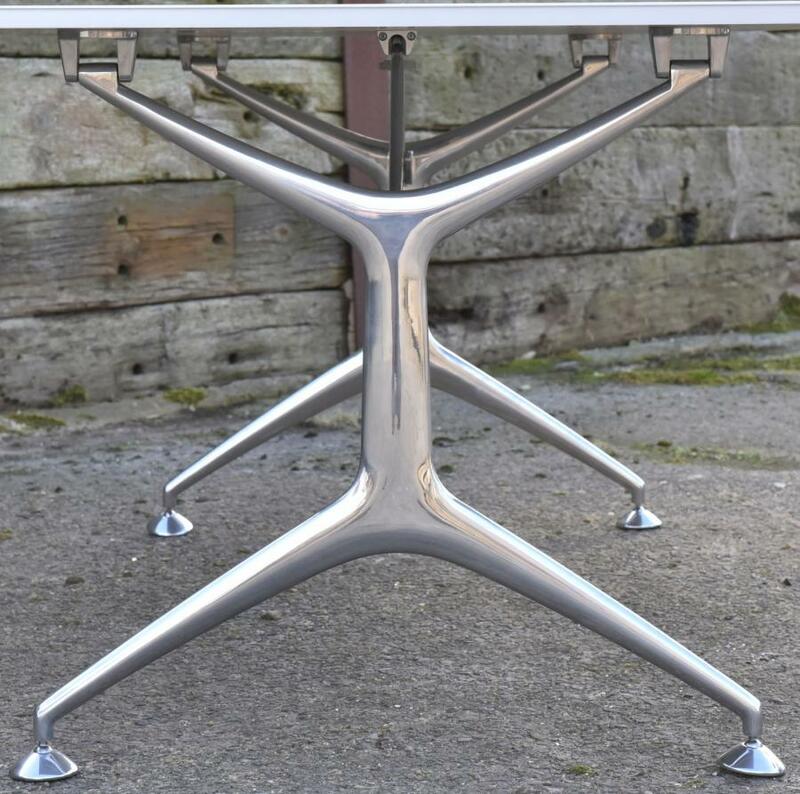 The folding trestle legs are made of polished cast aluminium. Dimensions in inches/cms; 74.75/190 wide by 37.25/95 deep by 29/74 high. 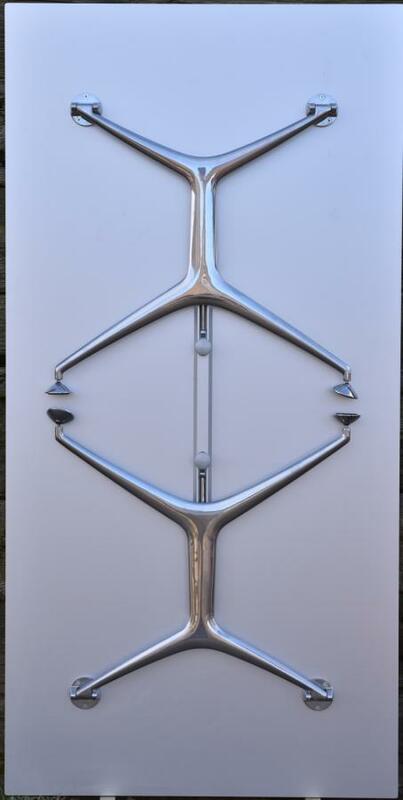 Top thickness is 0.75/19mm. Please see Blog via NEWS tab on the website for larger / more photos.